Among the global events 2016, Queen Elizabeth II’s 90th birthday celebration is a grand affair spanning over a long period from April 21 to October 16. Considered to be a milestone in the imperial history of Britain, the Queen’s 90th birthday will be celebrated through several events including street parties, parades, exhibitions, feasts, star performances, etc. FlyHigh lists the most anticipated events to be held according to the Queen’s 90th birthday celebration plans. 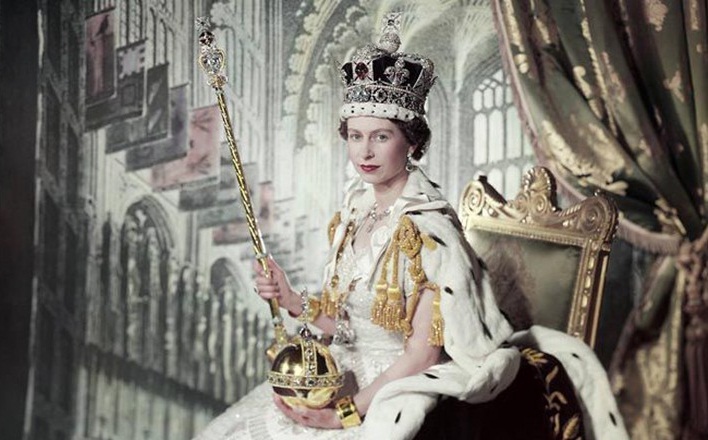 April 21 is Queen Elizabeth’s 90th birthday. On the eve of turning 90, she will visit the Royal Mail Windsor delivery office to celebrate the 500th anniversary of the postal service. In the morning of April 21, she will inaugurate the construction of a 4-mile Queen’s Walkway at the foot of Castle Hill, which will interlink 63 points of interest in Windsor commemorating her achievement in being the longest-reigning British monarch. In the evening of April 21, the Queen will celebrate her 90th birthday by igniting the first in a chain of 1,000 beacons across the country. She will be accompanied by the Royal Family members. It will be followed by a private feast at Windsor Castle. On April 22, the US President Barack Obama will arrive at Windsor Castle as chief guest who the Queen will host for a private luncheon. The exhibition of Queen Elizabeth’s dresses and fashion accessories is one of the most glittering events for the Queen’s 90th birthday celebration. Named Fashioning a Reign: 90 Years of Style from The Queen’s Wardrobe, the exhibition will commence on April 21 and continue till October 16 at the Palace of Holyroodhouse in Scotland. It will coincide with two similar exhibitions: one at the Buckingham Palace from July 23 and the other at the Windsor Castle from September 17, 2016. 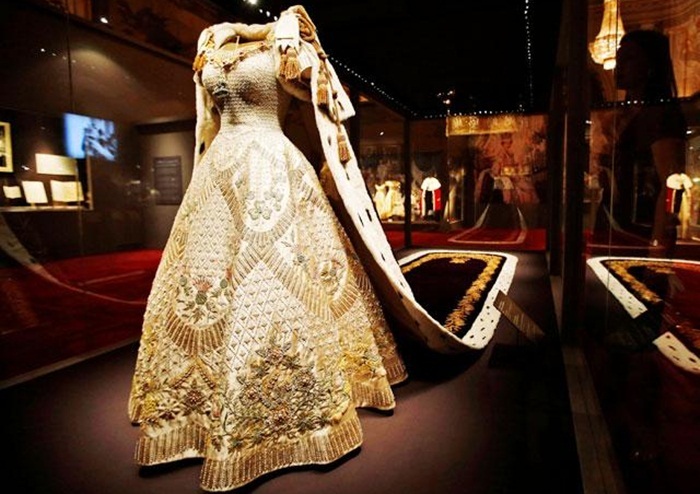 Over 150 outfits including gowns and headgears from Queen Elizabeth II’s wardrobe will be exhibited across the three palaces. 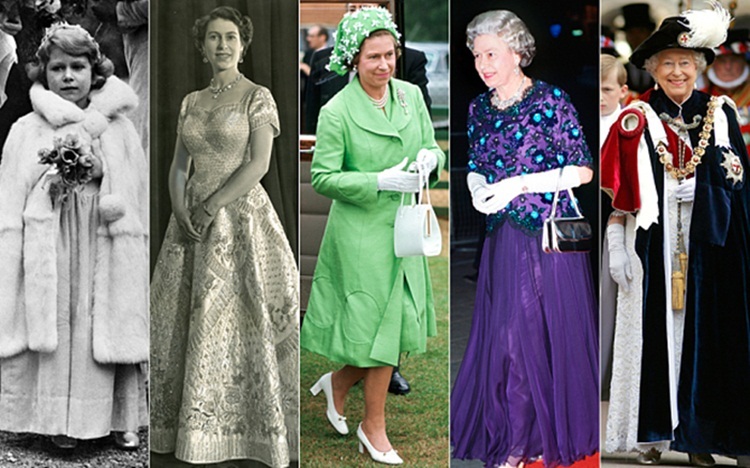 The spectacular display of the Queen’s most-treasured outfits, both ceremonial and military, will leaf through the pages of her life from childhood to marriage to coronation to official state visits to foreign trips to parties to the present day. The exhibits also include some of the Majesty’s lavish gowns designed by topnotch British fashion designers such as Sir Norman Hartnell, Ian Thomas and Stewart Parvin. 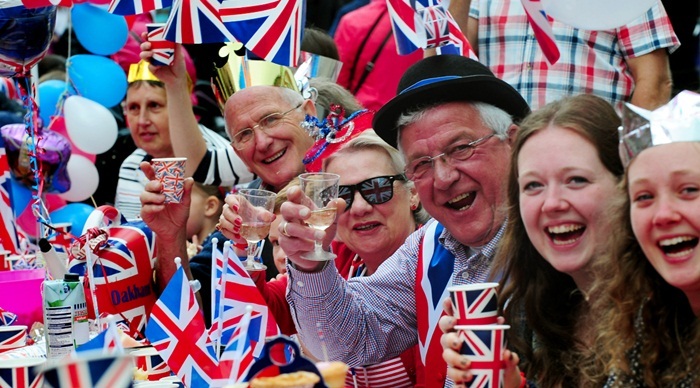 Queen Elizabeth’s 90th birthday celebration has something great in the offing for boozers. One of the celebration plans including exhibitions, parties and processions, is to extend opening hours of pubs across London from 11 PM to 1 AM on June 10 and 11. Prime Minister David Cameron has already announced it. Pubs in London City were officially allowed to remain open late on previous occasions too, including the Queen’s Diamond Jubilee celebration and weddings in the British royal family. Among the surprises of the Queen’s 90th birthday on April 21 is a brand new children’s comic book that the Royal Collection Trust has published in honor of the Majesty. 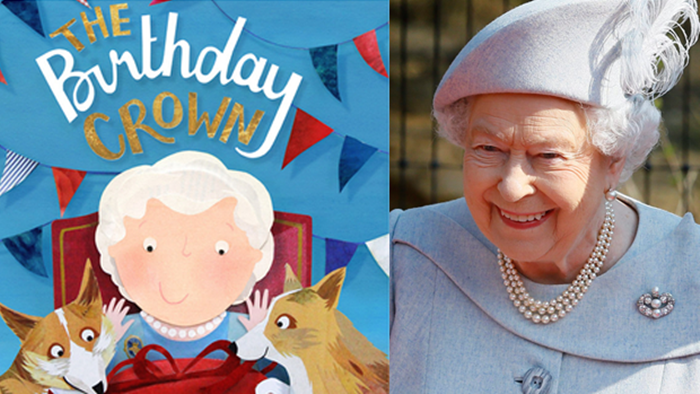 Written by eminent children’s author Davide Cali, The Birthday Crown is a light-hearted story of the Queen in quest for the perfect crown for her birthday celebration. The 32-page book depicts a special search for the right crown amidst ongoing preparations and plans for the 90th birthday celebration at the Buckingham Palace, through comic illustrations. The story of The Birthday Crown ends with a paper crown that the Queen’s little grandson has made himself. May 12 to 15 will see a grand public celebration of Queen Elizabeth’s 90th birthday by thousands of participants from across the United Kingdom. The event will be held on May 12, 13, 14 and 15 evenings. 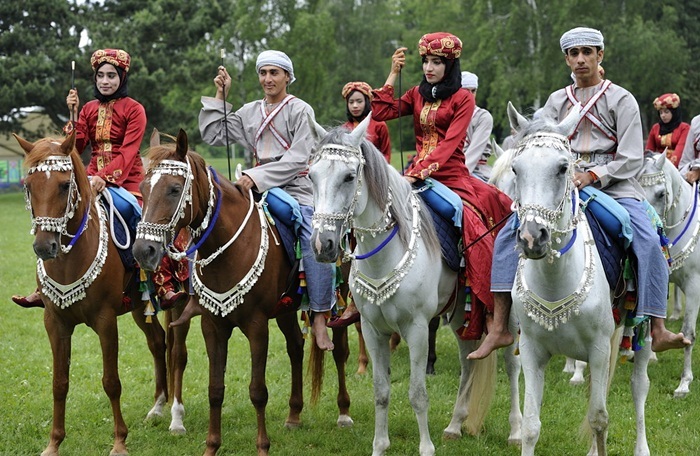 The Queen herself will be in attendance for the celebration at The Long Walk on May 14, which will be a 90-minute long spectacle of a grand pageant with 900 horses, 1500 riders and star performers. Many celebrities will walk the red carpet at The Long Walk and greet the Queen on May 15. All 25000 tickets for May 15’s public event were sold out in November 2015. Even some 5000 tickets have been distributed to those willing to see the 90-minute extravaganza on giant screens which will be installed at parks close to the Windsor Castle. There will be food outlets and picnicking options too. The curiosity about who will be performing in the grounds of Windsor Castle on May 15 is mounting day by day. An array of eminent stars including Katherine Jenkins, Jess Glynne and Kylie Minogue, James Blunt, Beverly Knight, Alfie Boe, Andrea Bocelli, Jim Carter, Martin Clunes, Jennifer Saunders and Star Wars actor John Boyega from the entertain world is expected to grace the Queen’s 90th birthday celebration with their glittering presence and electrifying performance. One of the most spectacular events in celebration of Queen Elizabeth’s 90th birthday is a thundering performance by the Royal Cavalry of the Sultanate of Oman, which has been preparing for the extravaganza from May 12 to 15 for past 4 months. The cavalry of 100 horses will travel all the way from Muscat to perform in the presence of Queen Elizabeth II, the Duke and Duchess of Cambridge, and other royal family members. It will be followed by the Service of Thanksgiving at St Paul’s Cathedral on June 10 among the Queen’s 90th birthday celebration plans and events. The Service of Thanksgiving will be attended by a congregation of invited guests. It coincides with the Duke of Edinburgh’s 95th birthday. The annual celebration of the Queen’s official birthday, which is known as Trooping the Color, falls on June 11 this year. 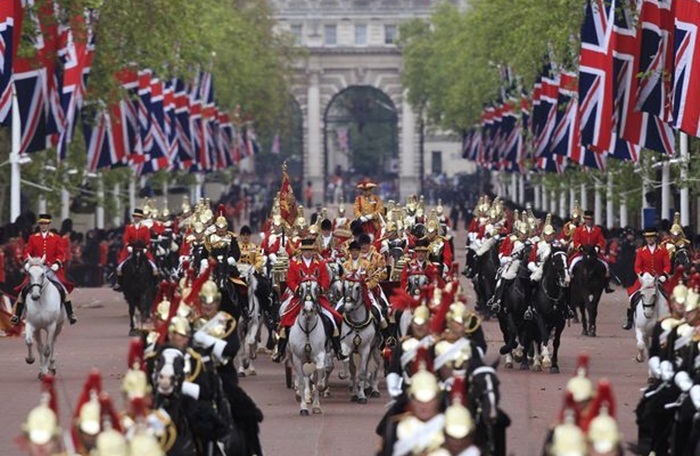 It is also referred to as the Queen’s Birthday Parade, which BBC telecasts live every year. 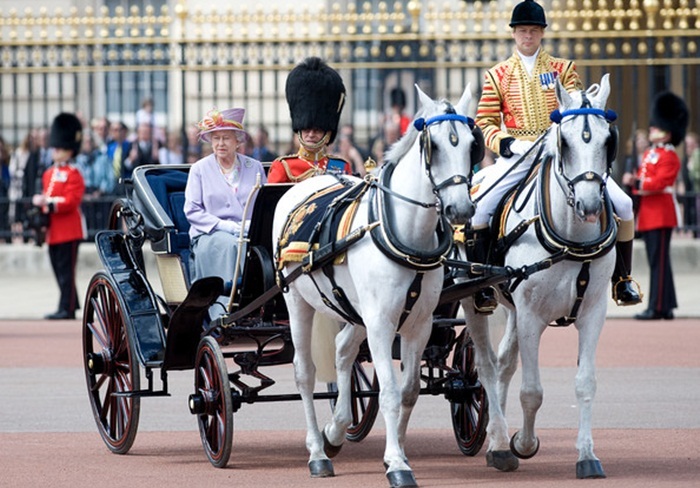 The Queen along with other royal family members and officials travels in carriages to and from the Buckingham Palace. Then she appears in the Buckingham Palace balcony for the public. The parade is rehearsed for a week in advance. The Queen’s 90th birthday celebration will culminate in the Patron’s Lunch at The Mall on June 12. The Patron’s Lunch in celebration of the Queen’s birthday is the UK’s biggest street party which transforms The Mall in London into a giant venue for as many as 10,000 guests to be entertained with great food at a picnic-style lunch and street performances. Queen Elizabeth II and Duke Phillip of Edinburgh oversee The Patron’s Lunch from a platform on the Victoria Memorial in front of the Buckingham Palace. Over 600 charities and organizations under the Queen’s patronage are given 9,000 tickets to auction and raise fund for their social services. The Oxford Film and Television broadcasted a 2-hour long documentary named Our Queen at Ninety on March 27, in advance of the Queen’s 90th birthday celebration. The documentary features interviews of some key figures in the Queen’s life and the British Royal Family, including her son Prince Charles, daughter-in-law Camilla, grandson Prince William and his wife Kate Middleton of Cambridge.